Over the past 200 years we have attempted to establish what we think are our innate rights for the society we live in. We have made progress in identifying these rights in some areas of our lives. However there is much more that needs to be done, especially in the area of environmental health. These innate rights (described below) and our quality of life are threatened as our population and our consumption practices keep expanding. We need to refocus our attention on an Environmental Health Bill of Rights. 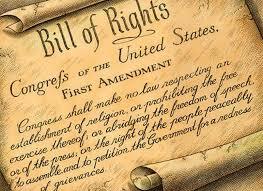 We have learned over time that a bill of rights is a two-way street. We should not expect them to be given to us without our effort to define them and secure them.There are responsibilities that we must accept and act on to ensure that these rights are available to all of us. It will take each of us working together to ensure that these rights continue to exist for each of us and for future generations. Here is a short discussion of these rights and our responsibility to ensure these rights for ourselves and for others. The Right to Clean Air – Although the 1970 Clean Air Act has helped us make major strides over the past half century, many of us still have significant health problems and shorter life expectancies resulting from the burning of fossil fuels. To ensure that we reduce these health problems each of us will have to reduce the amount of fossil fuels we use. As our population increases we must stop dumping the waste products from burning fossil fuels into the air or we won’t have clean air to breathe. We can do this by driving less and using more efficient vehicles (electric or hybrid cars), reducing our use of electricity by insulating our homes better and buying electricity from alternative energy suppliers (wind and solar suppliers), and reducing our consumption of energy intensive products (meat, excess packaging, imported goods). We are the solution to air pollution, but we need to take responsibility for it and change our behaviors. The Right to Clean Water – The Clean Water Act of 1972 and its amendments have been especially effective in cleaning up our water supplies and water bodies (lakes, rivers, bays, and the oceans). At the same time we have paved over so much of our land that much of the rain is flushed directly into these same water bodies carrying the residue of our society and dumping it into our waters. To stop this polluting process, we need to build rain gardens in our back yards to allow rain waters to absorb into our soils so they recharge our aquifers, we need to use less fertilizer and make sure it is used and does not run off in the water supplies, and we need to stop dumping medicines, grease, and other chemicals down our drains. The Right of Access to Healthy Food – Most Americans have access to an ever widening range of food choices. 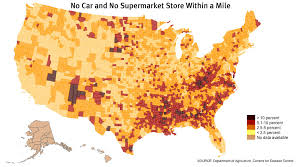 Some without access to transportation do not (in rural areas and in cities there are food deserts). However with so much choice, it is often hard to find healthy foods because there is an onslaught of advertising promoting many unhealthy choices (sugary sweetened beverages and snacks and processed foods). There needs to be more information and equal access to heathy options. We, acting as educated shoppers, should be fully aware that shopping around the perimeters of most stores is best – it is where the fresh produce, meat, breads, and dairy products are usually found. We need to demand better food by seeking it out and supporting healthy food suppliers. The Right of Access to Nature – Man has always built parks for his leisure and relaxation. Now we know that a 30 minute walk in the woods each day makes us healthier, less anxious, more creative and more productive. We need to encourage more people to develop this discipline and encourage more employers to support these activities in nature on a daily basis. This involves, more windows, windows that open, more landscaped office parks and downtowns, development and maintenance of trails in commercial settings, and time off for breaks to get outside. This also requires more access to public lands such as beaches and rivers and to areas where light and noise pollution do not negatively impact the quality of life. It is our responsibility to support these efforts and develop the discipline to get outside on a regular basis. The Right to a Healthy Working Environment – Indoor air pollution is a significant threat in our country as a result of poor construction materials and practices, the degassing of rugs and furniture and the widespread use of solvents, electronics and printers. All offices should have a high rate of air exchange, copious amounts of indoor plants, and clear policies on what types of furniture to buy. Equipment or materials that give off vapors should be in rooms with stronger exhaust fans. This concern applies to outdoor work settings as well. All soils, waters, and the air should be tested for the presence of unhealthy levels of toxic chemicals. It is our responsibility to consider these risks in all of our work. The Right to Understand the Health Impacts of Major Projects – When actions are taken that could impact the health of humans or the environment, an assessment should be made and the results distributed to inform potentially impacted parties as to the positive and negative aspects of the activity. It is our responsibility to require these assessments and to take the time to fully understand the risks and the benefits. 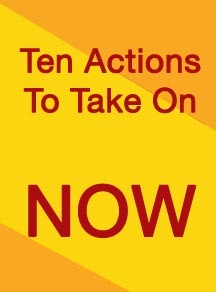 A Call to Action – There is a need for each of us to share and champion these rights and responsibilities with others. Change does not happen all by itself. It takes a movement with an ever growing number of committed members in a community to create lasting change. I encourage you to be one of those committed members. Take-a-way: There are many rights that we should expect from a civilized society. We have a responsibility to ensure that all of us can enjoy these rights. By nedtillman2 in Calls to action, Uncategorized on July 30, 2015 . Jeff – I like the concept of having A Right to a Sustainable Future. It may be in addition to these or these may result in that. Rights for current and future peoples on the planet. Thanks for the feedback.